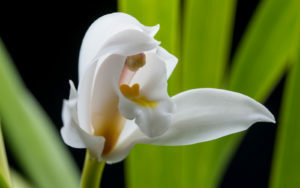 This website is an invitation and offering of our appreciation for the essence of orchids. 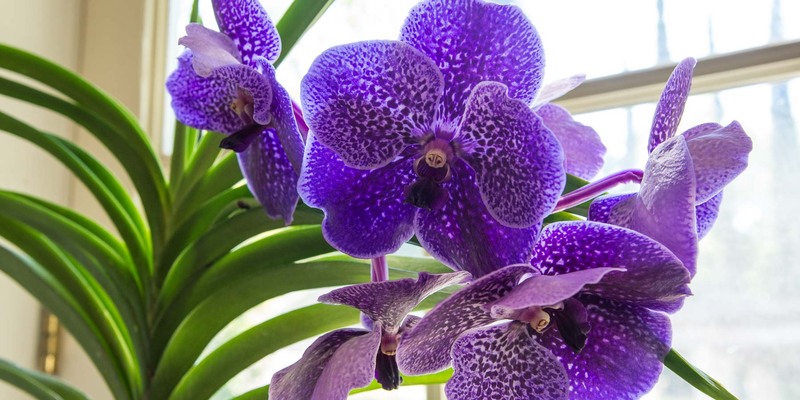 We would like to share this love and connection with you, and if possible, offer observations to improve the growing and well-being of your own orchids. I have discovered over the years that our approach to orchid growing is a bit different than most people that I’ve met at shows and society meetings. While I often use the expression “orchid grower,” I don’t really feel like “we grow” orchids; rather, orchids gather with us in our house and in our yard. Someone once commented to me, after I expressed my love of orchids and looking at some of my plants, “well, they love you too.” That’s probably at the core of why I enjoy being with orchids so much — and they grow so well for us — because growing them is a partnership of understanding and awareness. Being such long-lived plants, we are in this together for awhile so we had better recognize how to work together for abundant roots and flowers (the leaves just seem to happen!). I realize that such a perspective might be unusual, since, in my experience, many people seem to choose to grow orchids for reasons other than appreciation of the essence of the orchids themselves. Competition, social life, genetic fascination, and infatuation with the beauty of the flowers are prevalent. Yes, I like the flowers, but, actually, I like the plants more. I connect with the whole plant and enjoy seeing it throughout the growing year — I’m as happy to find new canes or root tips as a flower bud. This is why we’ve called our orchid endeavor “Ancient Energy Orchids” (AEO). I am drawn to the deep origins of orchids, not what humans have invented of them or stories about them. The complexity, beauty, and essence of their source is what comes through to me in my growing efforts. AEO is more of a way of experiencing and seeing orchids than the name for an orchid collection or nursery. Ultimately, I believe how you perceive your orchids is how you grow them. 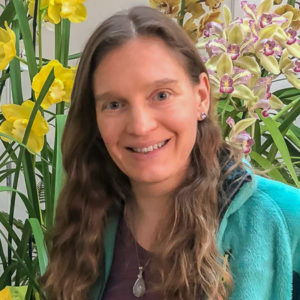 I share this aspect of my connection with orchids so you can more deeply appreciate how I approach orchid culture, as you peruse the photographs and articles. Sometimes I think that people struggle in “getting their orchid to bloom” because they forget that the orchid is an entire plant and living being, not just a flower. Or more concerning, that the orchid is a flowering machine of sorts, with predictable inputs and outputs. Individual plants can be remarkably different, even of the same species. That’s another key aspect of my orchid culture: individuals matter. I have two Dendrobium aberrans growing warm with Phalaenopsis and another plant growing with highland New Guinea dendrobiums; all three are blooming in their locations. I moved the third plant after it wasn’t thriving with the other Den aberrans. It liked the new spot — sending out two canes and three flower stalks after six months without any growth. I also consciously create groups of orchids with similar cultural, genetic, and geographic origins. For example, we have a dedicated “Dockrillia Station,” separate areas for NSW and Queensland dendrobiums, as well as a section just for highland New Guinea dendrobiums. I have consistently found better results with this approach and can pick out within a few weeks if a new orchid isn’t in the right place. It’s not just about physical conditions (light, temperature), but I what I perceive as a supportive field that forms amongst orchids that resonant with each other and their local environment. As you might guess from the descriptions above, I’m keenly observant. Earlier in my life, I spent a lot of time pursuing botany and photography in the eastern USA, as well as a field research project on epiphytes of the Nepal Himalaya. So in addition to a heart-centered approach to growing orchids, I bring an undergraduate degree in Biology/Biochemistry and a doctorate in Geography to the table. That’s part of why I enjoy orchids so much — the complexity, nuance, and ongoing challenge draws from my years of environmental research as well as my post-academic life in my work as a teacher and guide to higher aspects of consciousness. I also have a long-standing interest in photography, with over twenty years of work in scientific, nature, and landscape photography. My more recent work, focusing on worldwide sacred sites, can be found on my other website, Sacred Light Photography. I describe my approach to creating photographs here. Finally, a lot of our orchid growing is guided by experience from years of travel in remote places — and what we can reliably simulate in the San Francisco Bay area of California. While I have managed to traverse much of the western hemisphere from Barrow, Alaska to Tierra del Fuego, I have never personally resonated with the New World tropics. 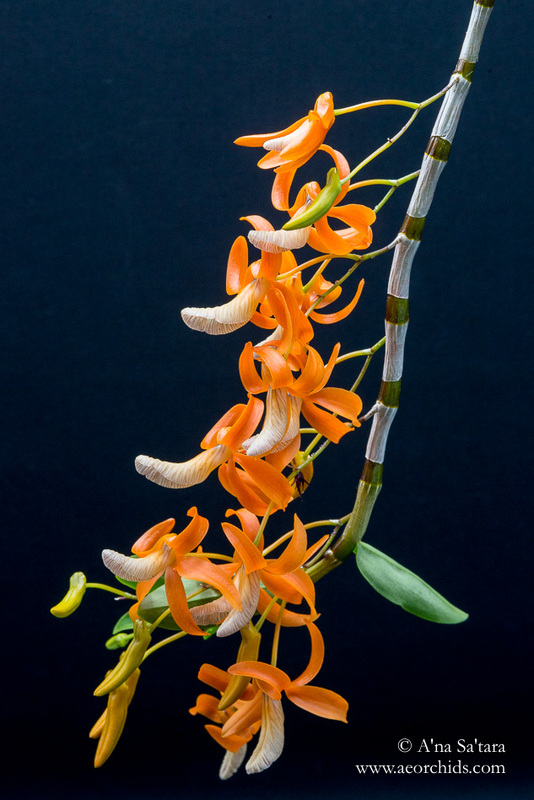 We have a few friendly Barkeria, Leptotes, and Laelia that like our conditions, but the rest of our collection is focused upon Australia, New Guinea, and Himalayan species, particularly cool and cold-growing Dendrobium, Dockrillia, and Cymbidium, plus a small number of vandaecous orchids. 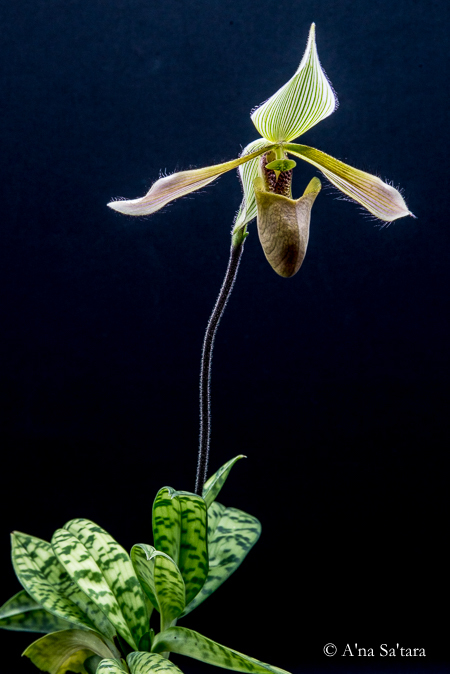 We also co-habitate with an increasing number of Paphiopedilum species. I was a visiting scientist in Australia for a year at the Universities of NSW and Adelaide, and had the opportunity to circumnavigate the continent in my Subaru — I love the land and have a direct sense of the many environments. Likewise, I’ve travelled through India, Sikkim, Nepal, Bhutan, and Thailand on many trips, so the diverse montane environments intuitively make sense to me in orchid culture. 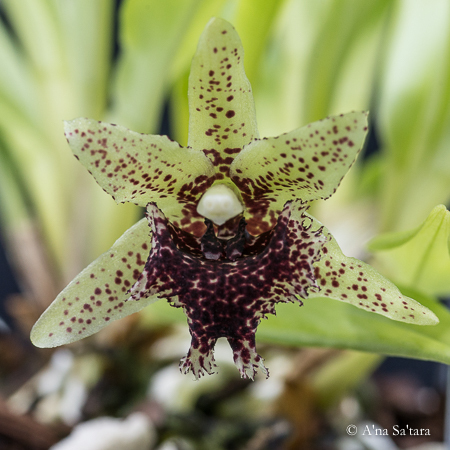 Now we focus mostly on species, and some primary hybrids and Australian dendrobium hybrids. Many complex hybrids are beautiful and intriguing, but I’m often perplexed as to “what” the plant actually is — there are so many genetic aspects that I can’t relate well to it. I find species easier to grow because their origins and cultural needs are more straightforward. My husband is a little less focused, and sometimes gets excited, so we do have a few stunning complex hybrids in the orchid family too. Like the Vanda ‘Robert’s Delight’ at the top of page — this beautiful orchid showed up on a Christmas morning and has been one of our most cherished orchids. 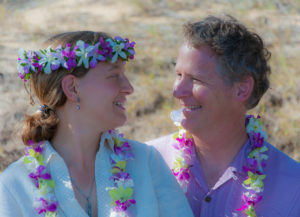 It’s a good time to introduce my (mostly) behind-the-scenes partner in orchid growing, my husband Paul. He brings fearlessness, enthusiasm, and decent construction skills to the table; without all of which, we wouldn’t have many of our plants or the success in growing them. Even though he tries to avoid publicly pronouncing many species names, Paul’s intuition and observation of plant needs are world class. 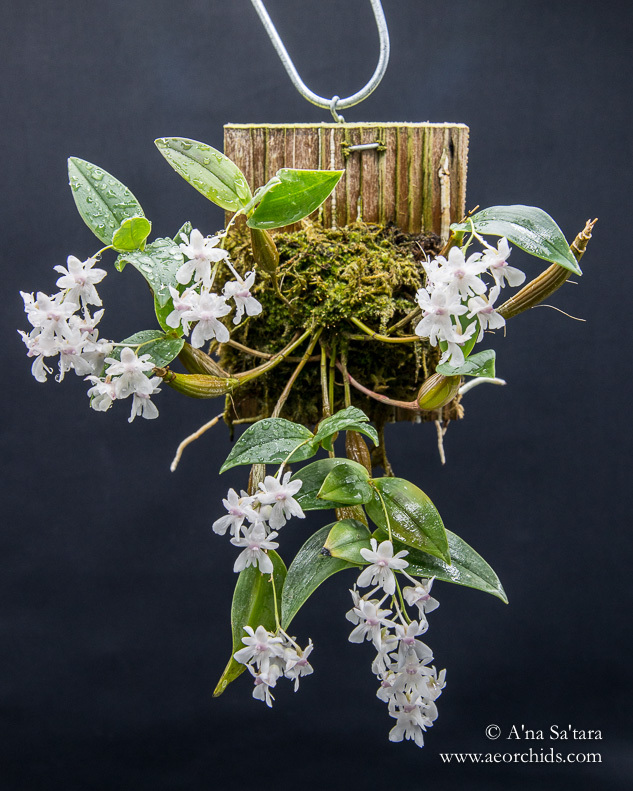 All of those years of using fishing line have come to fruition in a new life as a superlative orchid mounter too. And I don’t know how I would get the big cymbidiums out of their pots without him. Best wishes for your orchid growing! Unless otherwise indicated, all images on this website are from the collection of A’na Sa’tara. All images and text are copyright protected. None should be reproduced in other websites or in any other forms of publication without prior permission. Thank you.